Alonzo Mourning’s tenacity on defense twice earned him the NBA Defensive Player of the Year Award and perennially placed him on the NBA All-Defensive Team. He made a comeback after undergoing a kidney transplant and later won his first NBA Championship with the Heat in 2006. On March 30, 2009, Mourning became the first player in Miami Heat history to have his number retired. Sports Speakers 360 is a booking agent for pro athletes. 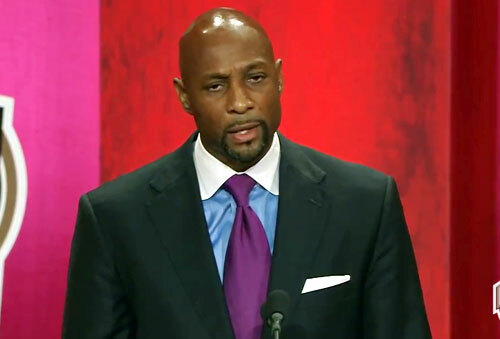 If you would like to book Alonzo Mourning for a speaking engagement, appearance or endorsement, contact an Alonzo Mourning booking agent for fees at 1.855.303.5450.